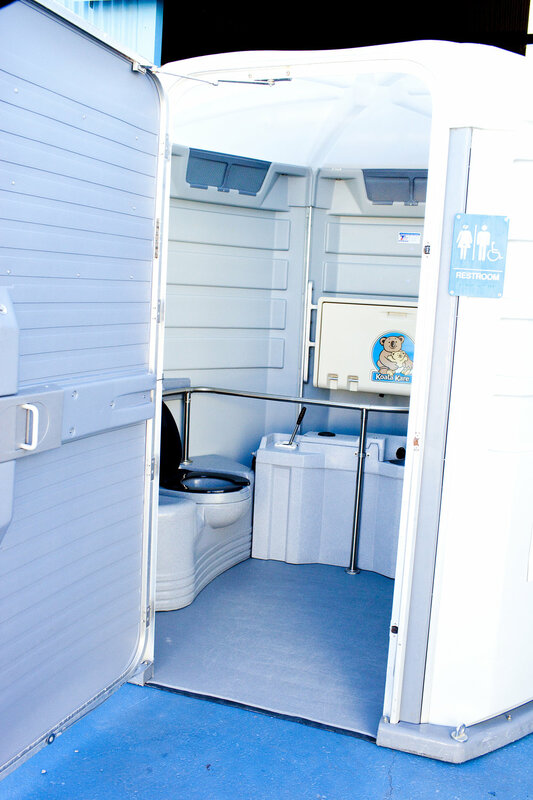 Reserved for people with disability and parents with prams, the “accessible” portable toilet features a ground level floor for a ramp free access. The spacious well-appointed interior enables a wheelchair to turn 360 degrees and allows room for a standing caregivers’ assistance. Strong stainless-steel grab rail surrounds the interior to enhance the safety of the user and features a lowered seat for easy access. This model comes ready to use with sanitising gel, hand towels and a fresh water flush unit which allows users to wash their hands providing a safer, healthier environment for workers and event goers. Some of these Total Toilets’ hire units are fitted with a baby change facility within (Available upon request).